Pulse Evolution is an entertainment company that used a hologram technique several years ago to summon the ghost of slain rapper Tupac Shakur at the Coachella music festival. The necromantic language seems appropriate. This was not a music video per se, but a live performance. Whether Ghost Dancing will become a new entertainment venue or just another passing fad remains to be seen, but it says something about the progression of celebrity culture born more than a century ago out of the Graphic ... See More Revolution. In his groundbreaking book The Image, historian Daniel Boorstin described how our culture had created a thicket of unreality which stands between us and the facts of life. Taken together, telegraphy, photography, radio, cinema, and television brought forth the pseudo-event, an occurrence staged to call attention to itself. Boorstin was not just concerned with the now-familiar photo-op or media event. He put his finger on a much larger problem. Americans not only confused the copy with the original but also actually preferred the copy to the original. News was no longer gathered; it was made. The traveler, a person who travails, had been replaced with the tourist a person who stays at American hotels in France made to look like French hotels. 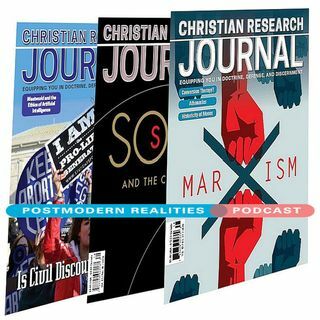 This Postmodern Realities episode is a conversation with JOURNAL author Arthur W. Hunt III about his CHRISTIAN RESEARCH JOURNAL cultural discernment article Necromancing the Stone: The Thrill of Dancing with the Dead.